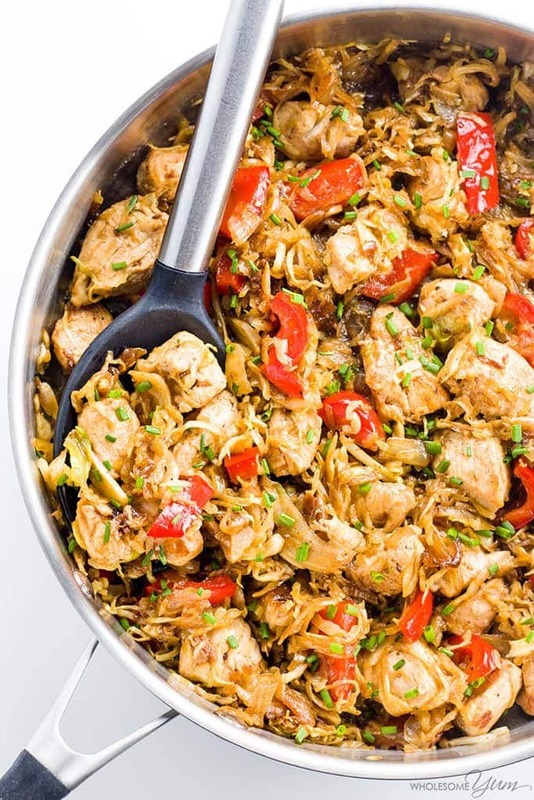 This 15-minute chicken cabbage stir fry recipe makes a quick & easy dinner everyone will love. 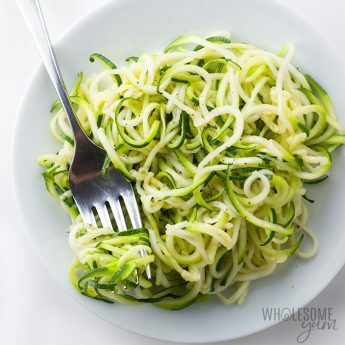 Naturally low carb, paleo, & whole 30 - but so delicious! I’m all about easy weeknight dinners right now. I can’t get enough. With Baby #2 just a few weeks away (where did the time go?! ), I’m tired and quite honestly don’t feel like cooking. No matter the reason, though, we all have nights like that. 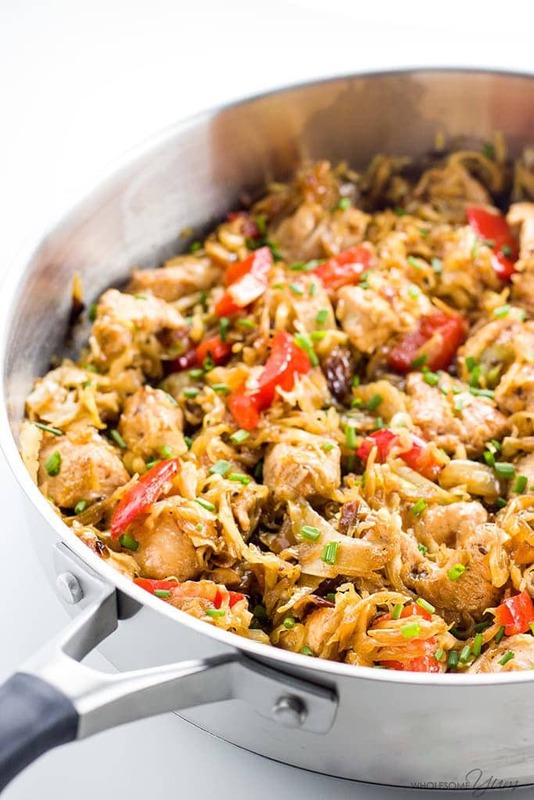 This 15-minute chicken cabbage stir fry recipe is the perfect remedy. The great thing about this chicken cabbage stir fry is you can prepare for it ahead of time. If you have your chicken pieces, chopped bell peppers, diced onions, and minced garlic ready, the cooking part takes only 15 minutes and virtually no effort. All the ingredients can easily store in the fridge for several days, so chop ’em up on the weekend and you’re good to go. This isn’t my first time gushing about how awesome a low carb stir fry can be. I love how quick and easy they are, not to mention convenient! Your entire meal is ready in one pan, which means less time, less prep, and less cleanup. Yes, yes, and definitely yes! I love making stir fried cauliflower rice, too! In fact, many of my early blog posts were gluten-free stir fry recipes. 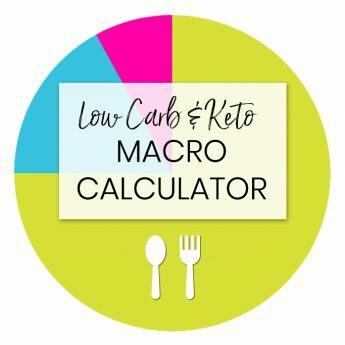 Because a low carb stir fry is quite possibly the easiest thing to make, even for a beginner, these dishes are how I got started on my cooking journey. Mediocre pictures notwithstanding, you guys seemed to like them too. 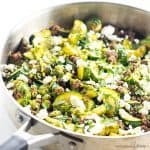 And, I still regularly make my beef taco skillet, sesame kelp noodles with chicken, and zucchini stir fry with beef and pesto. This chicken cabbage stir fry recipe just might be my new favorite ever. Somehow, it’s hearty and light at the same time. 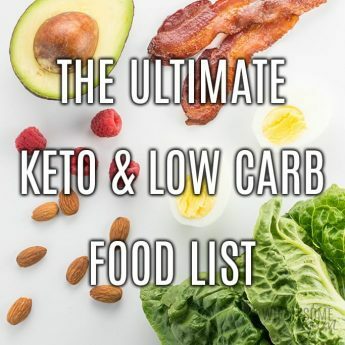 It’s a healthier take on dinner, but flavorful enough that everyone at the table will enjoy it – whether they are eating low carb or not. By the way, this is a dish you’ll want to save to make year-round. I can never resist seasonal recipes, but having an arsenal of ones you can make anytime is a must, too. And when I first made this seasonless stir fry last week, even though spring was technically here, it just didn’t feel like it outside yet. Feel free to throw in whatever veggies you like. Just make sure you cut them up into similarly sized pieces, to ensure even cooking. You’ll want even smaller pieces for any hard vegetables. Isn’t that another thing to love about a stir fry – having a convenient way to use up all your fresh produce? 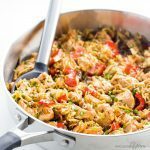 Whether you change it up or follow the recipe to a tee, I hope you’ll love this chicken cabbage stir fry as much as my family did. Heat a tablespoon of olive oil in a large skillet or wok, over medium heat. Add the garlic and cook for 30 seconds, until fragrant. Add onion. Cook for 5-7 minutes, until translucent. Add the cabbage, bell pepper, and coconut aminos. Season with ground ginger, sea salt, and black pepper. Stir fry for 3-5 minutes, until the cabbage is tender. Garnish with chives. Click or tap on the image below to play the video. 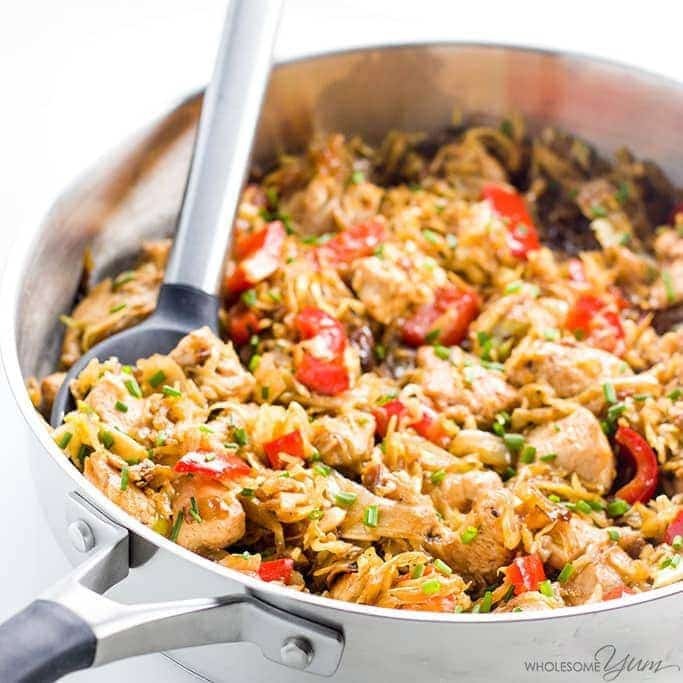 It's the easiest way to learn how to make Chicken Cabbage Stir Fry! Hello everyone!!! 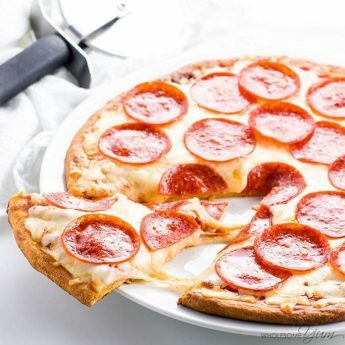 I’m new to healthy cooking and I came across this delicious looking recipe. Can anyone tell me what coconut aminos actually is and if I can substitute something else in its place if I am unable to find it? 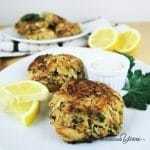 Hi Terri, You can get coconut aminos by clicking on it on the recipe card. That shows what it is as well. I added some mushrooms and some broccoli florets, it came out awesome. 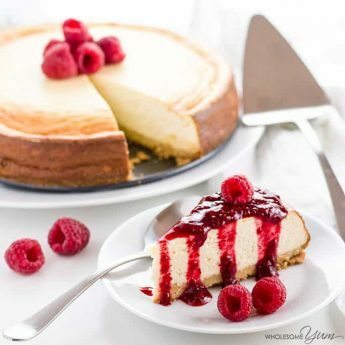 I love your web site and all your recipes Maya. You rock! 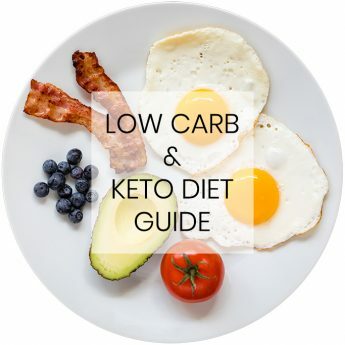 I started my Keto diet three weeks ago and have already dropped twelve pounds. I’m very happy to have found your site, you make it very easy. Thanks! 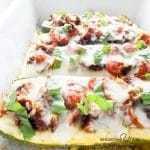 I have tried and really enjoyed the zucchini boats! Thank you for this dish! I am so happy to hear that, Marion! Could I use some shredded chicken that is already cooked and just skip the first part of cooking the chicken or will it end up too dry? Hi Ashley, Yes, you can. If you have chicken already cooked, you can add it closer to the end, just enough to heat through. Just made this for tea absolutely gorgeous I’ve made it with cabbage rice using the rest of the coconut milk, definitely one for my saved recipes. I am so happy you liked it, Maxine! Thank you so much for such a great AND inexpensive dish. Thank you so much, Vera! I’m so glad you and your family/friends enjoyed it. Could you use liquid aminos instead of coconut? Hi Lorey, Yes, you can! I made this for lunch today, and it was DELICIOUS! Thanks for sharing. 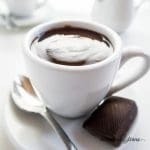 I was searching for low carb foods and this was my choice for today! What is the amount of 1 serving? Hi Rosemary, The volume of a serving would depend on how tightly you pack it and even how much you let the cabbage cook down. The serving size is just 1/4 of the recipe. If you divide the pan into four sections, it’s one of those. Hi Rosemary, A serving is 1/4 of the entire recipe. So if you divide the pan into four sections, a serving is one of those. Cheers to quick and easy meals – and with cabbage as the base, it’s super inexpensive too! Love it! Can I replace the coconut aminos for regular Braggs aminos, or even GF soy sauce? Is there a difference in how much I should use? THANK YOU!!! Hi Mary, Yes, you can! Either one of those should work the same way and you can use the same amount. Love cabbage stir fry, I make it frequently at home. With chicken it must taste even better!